In our journey as a Mentors and Coaches over the last 6 years, every experience is a new learning, and that is the fun part of being able to do our little bit to help make life and work become so much more holistic and complete for a variety of people across roles, levels, gender and age groups. The word Transcend resonates with me on more ways than one. Firstly as a daily practitioner of Transcendental Meditation for over 35 years now and experiencing its transformative power through the different phases. And secondly by us making Transcend a part of our organisation name and mission in our quest to empower organisations and leaders to rise and evolve to a new level beyond what they ever had. Every person one coaches is so unique and so diverse in their experiences, biases, insecurities, self-limiting beliefs, past baggage etc. And their true and deep Self-Awareness on their own Strengths, qualities, and Development areas are often limited and influenced by the constant feedback or criticisms they have got over time, right from their early days. I have had some interesting case studies. 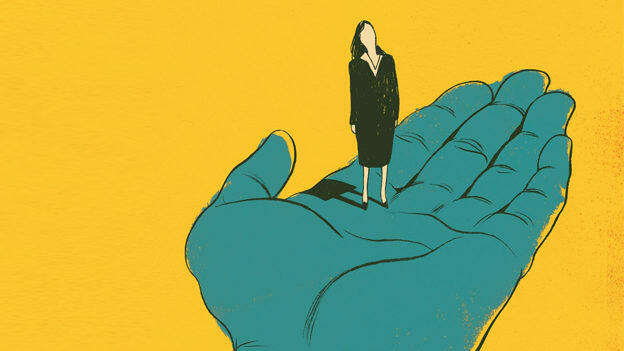 The initial reactions were amusing since couple of them were in what I now call the mid-career crisis zone of leaders in the 35- 45 age group felt it might be too late to change, but knew they had to change and evolve to survive and grow. I gave my own example how I was happily changing and evolving at 55 plus after 3 decades as a Corporate leader and more than half a decade as an entrepreneur by leveraging on my strengths and working on my own areas of change and that seemed to put them more at ease :) It’s never too late after all. 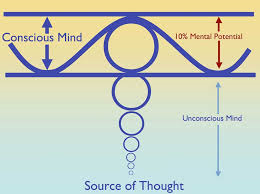 As the chart shows, the unconscious mind is a treasure trove which if tapped can turn the flow onto newer possibilities. As we evolved as Coaches, we incorporated the interview based 360 Feedforward process as an integral part of the Coaching process. And not in the cold, clinical and online way many organizations do but through a more personalized process where feedbacks get validated with specific instances. And to add to it, we also brought in a Holistic Health check that delves deeper into areas that cover professional and personal life that make us whole, or part of whole depending on how balanced we are across the areas that matter to our well-being and happiness. Quite a reality check these both are.Some coaches said they do not know even 6 – 8 people who really know them well enough! But most finally did reach out to 12- 15 since we do not budge … and they were happy they did. When it is explained how getting feedbacks from colleagues, friends, and even spouses might throw new light on how each one perceived them differently, and make them more conscious and aware of themselves it surely opened up their mind to even getting ready to face what could potentially be tough feedbacks and some pleasant surprises too. There were a couple of cases where the person being coached was very clear that the problem was more with “ them “ ( read management or others ) and less with “me”( read Coachee). As I patiently listened in during the first two session, delved deeper and let them open up and share more on themselves and their lives and their experiences and strengths and areas for change, it dawned on them that it was not all about " others" but more about themselves reflecting deeper on how they were contributing to the problems at work and home with their hardwired responses and approaches. When it was explained how a change of approach, or what is called “ rewiring of old habits “ can make such a huge difference with a newer way of doing old things there was a spark of interest. When the consolidated feedbacks were compiled and shared with them as a feedforward, it was interesting to see their eyes light up and eyebrows go up. They suddenly realized others saw more strengths in them than they in themselves and that was such a huge aha moment for them. The list of strengths given often ran into more than a page - and make a good tonic or booster dose for those bad days. The same leader based out of the country, who was raving and ranting in the first session about how he was getting a raw deal from “them “management and how he was not being trusted and given importance was a transformed man at the end of the feedback sharing session when he realized “they” and so many others rated him much higher than he thought they did. How much he had burnt himself inside out feeling like a victim of injustice!! And is that not quite common – having self-doubts, burning ourselves or playing victim ? The consolidated areas of development areas as shared by others seemed so much more palatable after that even if some were hard hitting and cut and dry on where he HAD to change. He sent me this short note after the session broadly capturing how his closed mind had opened up. And interestingly this happens in around 3- 4 sessions to start with, even for some battle hardened veterans who seem to know it all. Once they have narrowed down to the Goals and the actions needed to achieve them, with clear measures and have the coach who keeps them on track and challenges them over the rest of the journey to do the things they always wanted to, but…..! The “no but time “ ends here and the journey of change starts like a caterpillar becoming a butterfly. The thought that often goes through my mind often is how 1: 1 Coaching as a customized and holistic development tool can become more a way of life here in most organizations as more progressive leaders seize the moment and make this a critical add-on personalized intervention in addition to the other workshops and training the leaders are often exposed to. And how we as Coaches with our own business, leadership, coaching and been there done that life experiences can play a more pivotal role in the process of developing the leaders for the future. To me, these approaches represent the power of transformative and Transcendental Coaching process for leaders across all levels. NEXT STORY: "I am the victim of the Queen Bee Syndrome"